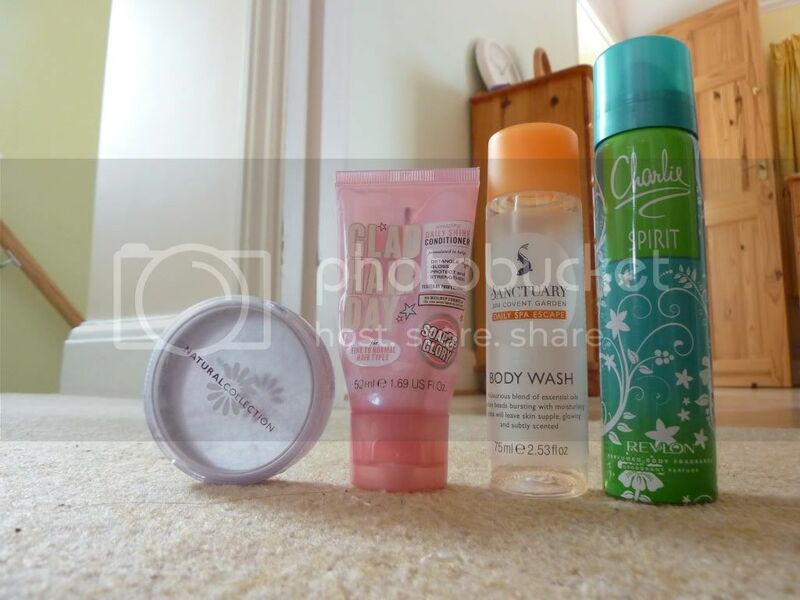 Soap and Glory Hand Maid Antibac Hand Gel- I really love this, this is not just your bog standard handsanizter. 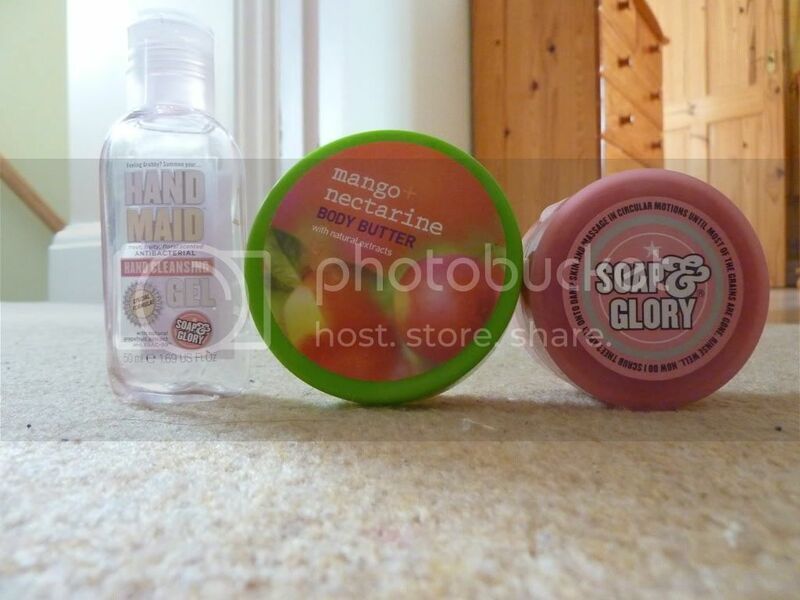 It smells just like all soap and glory products do, nice and sweet smelling. I will defiantly be re-purchasing this. Soap and Glory Flake Away- Another product I used through out Summer and had a little scraping left is this. This smells lovely and really makes your skin really soft. Won't be re-purchasing it straight away but definitely will purchase in Summer 2013! Natural Collection Pressed Powder- This is good powder maybe not the best on Earth but it does a pretty good job. Probably not going to re-purchase this as I want to try out some other powders. Soap & Glory Glad Hair Day Conditioner- This makes my hair smell so tropical and reminds me of when I went to Germany last Summer. This makes your hair feels so soft and nourished. Sanctuary Body Wash- This is a really nice subtle relaxing product and is a real treat to use in the shower. Will be re-purchasing! Charlie Spirit Body Spray- This smells great sort citrus and apple which is yummy. 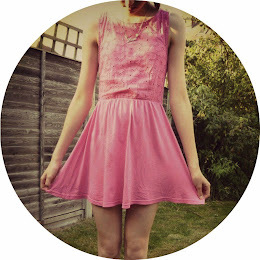 Will be re-purchasing this when I next go shopping. What have you emptied in December and will be re-purchasing? I love Soap and Glory stuff,the packaging is beautiful!